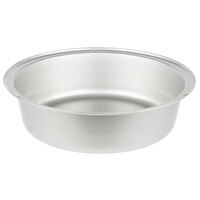 If you’re looking for highly stylized and attractive pieces for serving food on your buffet line or catering business, the Vollrath Royal Crest product line is the perfect choice. 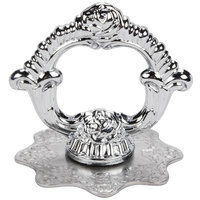 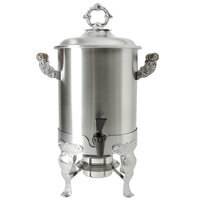 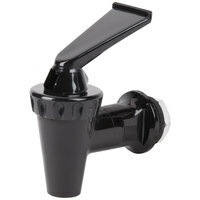 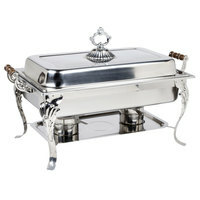 These products feature elaborate decorations on the handles and legs, which give them an opulent and elegant style. 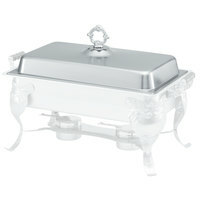 In addition to their upscale look, Vollrath Royal Crest chafers are efficient, keeping your food at the perfect temperature for long periods of time. 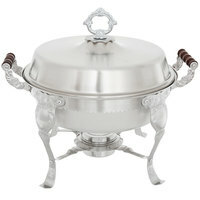 Create an elegant display on your buffet line or at your catered event with upscale Vollrath Royal Crest chafers. 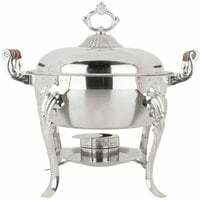 These products are made out of high-quality stainless steel, giving them a bright shine that accentuates their sophisticated look and making them durable and long lasting. 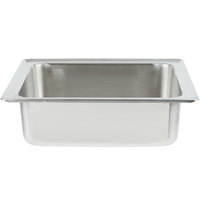 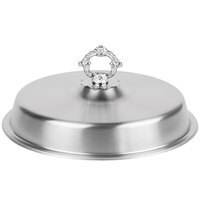 In addition to full chafers, the Vollrath Royal Crest line includes replacement lids, handles, faucets, and pans, so you can easily replace lost or missing pieces.